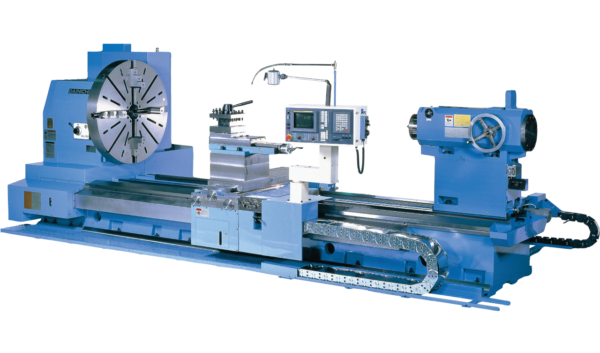 This CNC lathe is ideally suited to machining rolling mill rolls and shafts used to manufacture wire rods, round steel bars, flat steel bars, lightweight shaped steel, deformed steel bars, H-shaped steel, I-shaped steel and other general-use steel bars and channels. 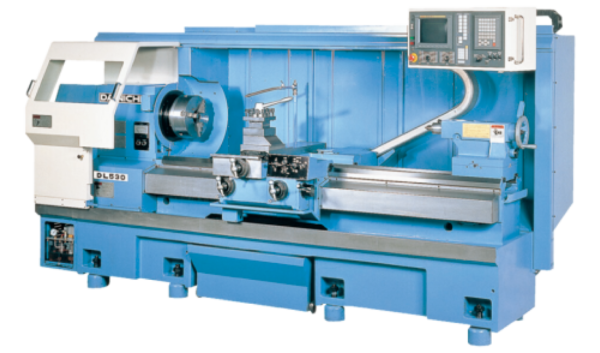 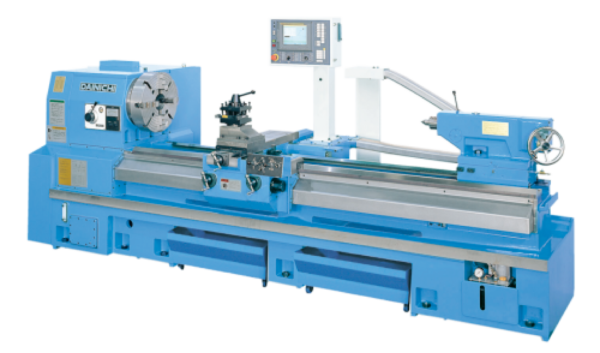 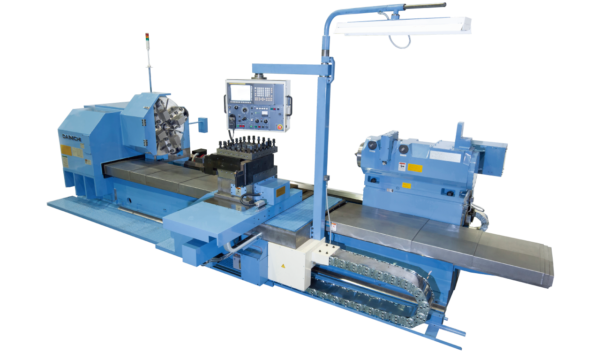 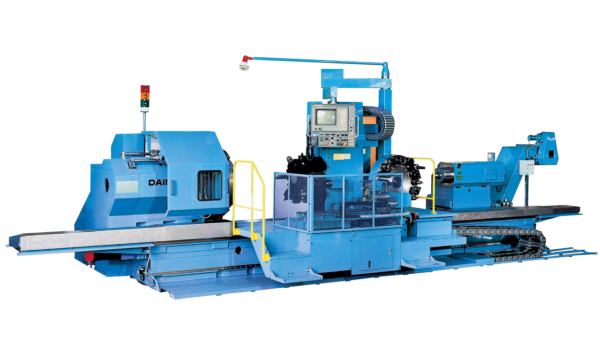 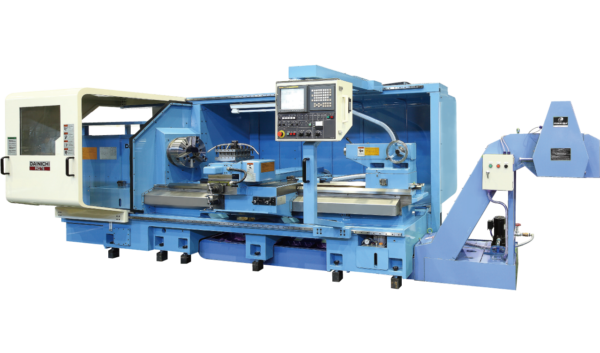 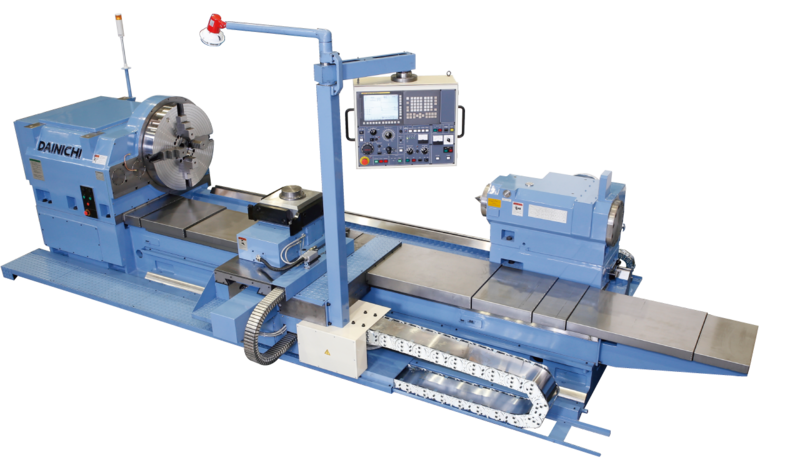 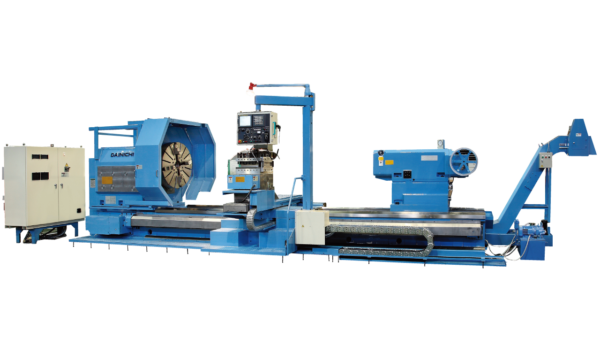 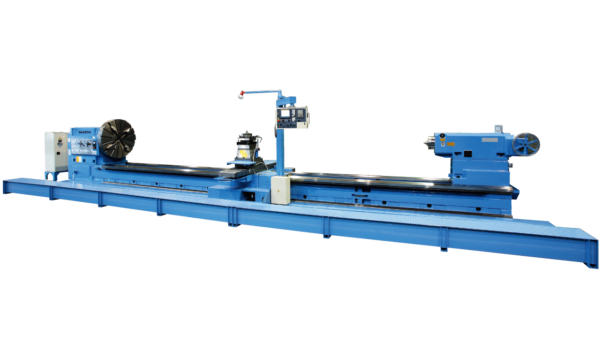 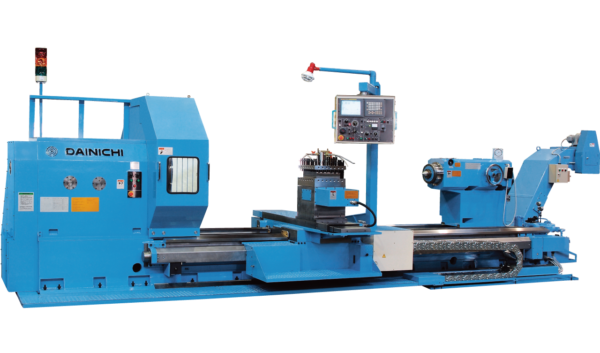 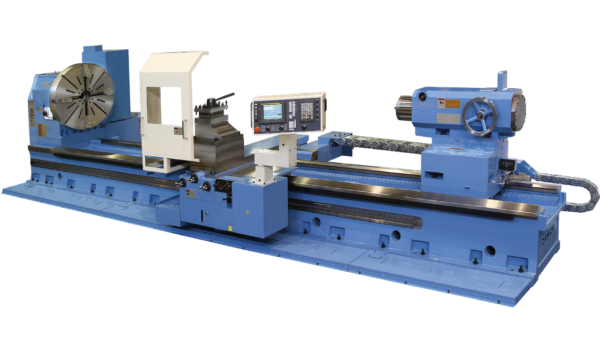 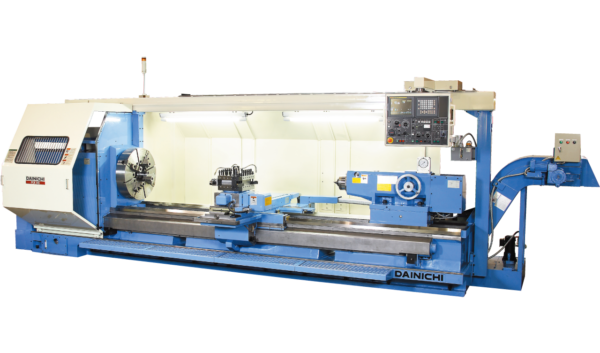 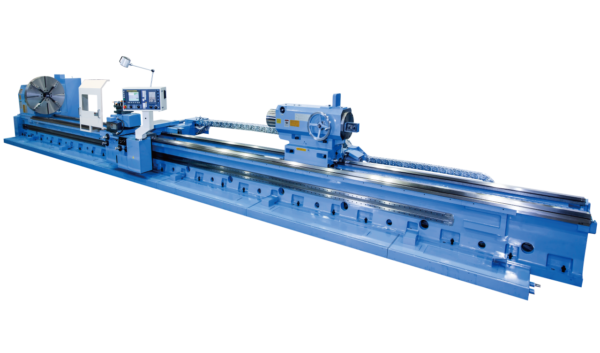 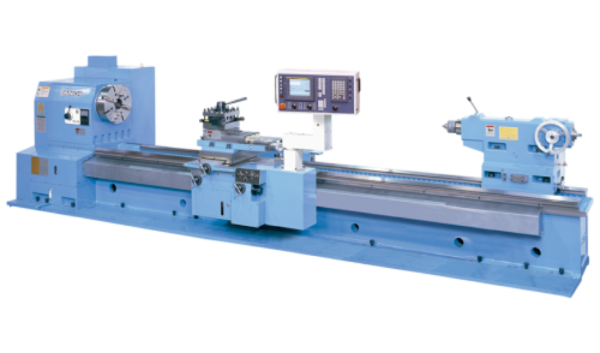 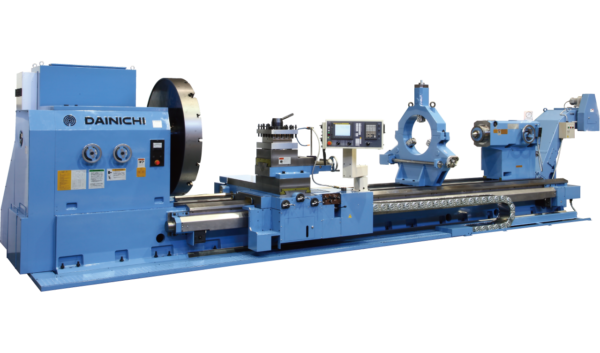 This lathe removes the need for match rolling work using conventional forming tools, eliminating the need for caliber-based measurements using a guard check gage and forming tool polishing procedures. 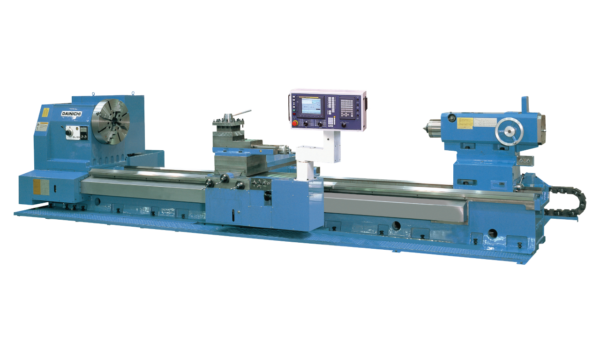 Additionally, this lathe automates roll caliber processes, opening up the potential for waste-free processing, from rough processing to finishing processing.